If you thought companies offering fake Facebook likes were being run by some college kids on their laptops, think again. 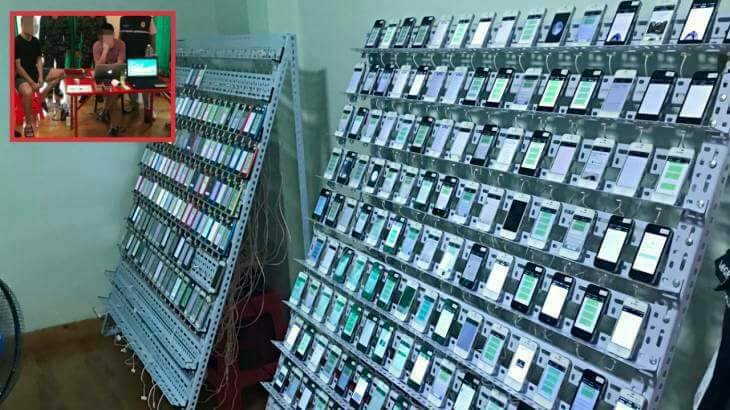 A raid in Northern Thailand has uncovered what is possibly the most elaborate click farm ever discovered. Thai police arrested three Chinese men after a tip off from locals, who suspected that they were working illegally in the country. It turned out that the three men, aged between 25 and 31 were running a sophisticated click farm, the scale of which has stunned local law officials. 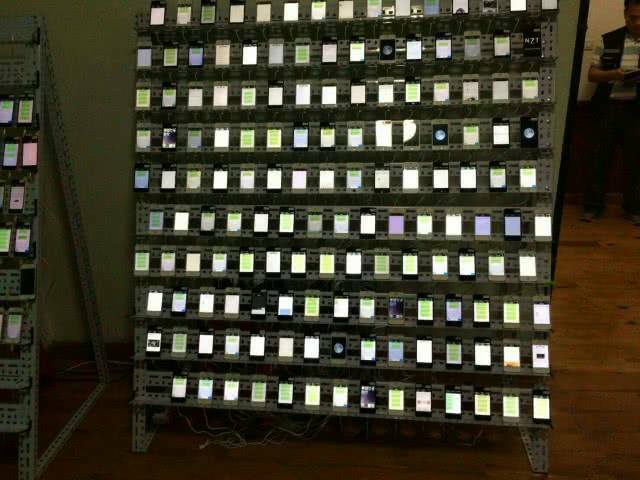 The click farm, which was reportedly being used to create fake accounts on Chinese social networking appWeChat, was being run through an array of 500 smartphones neatly arranged on metal racks. 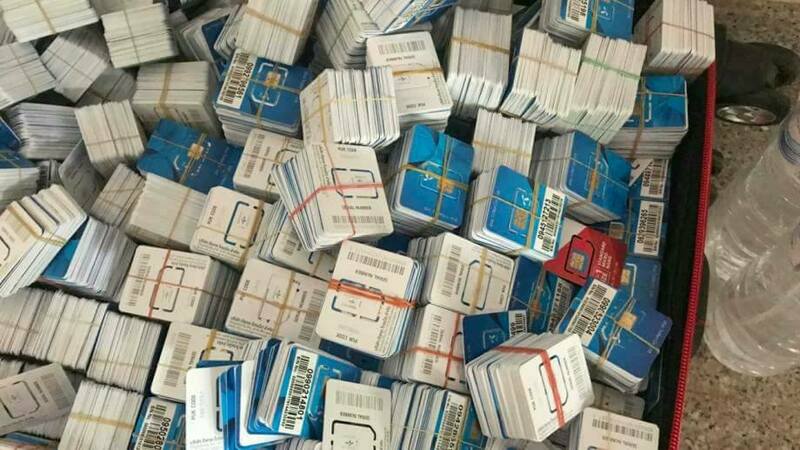 These 500 phones were being powered by a staggering 3,50,000 SIM cards, which could be used to quickly create online identities. These online identities can provide everything from fake likes, fake retweets, and even fake reviews and ratings on app stores. Police also recovered 9 computers and 21 SIM card readers from the house. There was even a rudimentary cooling system for this structure. 500 phones running constantly in close proximity can generate quite a bit of heat, so there was a fan positioned next to the metallic rack. Fake internet traffic is a major problem in the digital world, and comes at a huge cost to everyone from tech companies to end users. Fake traffic can result in fake ratings, fake messages, spam, and even fake clicks on ads. Tech companies have all built sophisticated algorithms to detect and catch fake traffic, but spammers aren’t going to give in so easily. Fake traffic is enormously valuable — initial user ratings, for instance, can make or break a new app, and people and companies are often willing to pay handsomely for it. 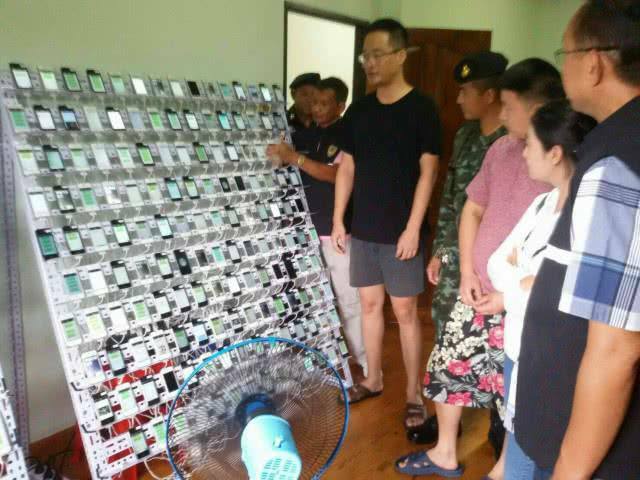 And given how hard this operation in Thailand was trying to create fake accounts (500 smart phones and 3,50,000 SIM cards don’t come cheap), it’s clear how far scammers are willing to go to outwit the system.